We're honored to be included in the Washington Business Journals' list of the areas healthiest employers again this year. The award honors companies whose policies and initiatives promote the health and well-being of their employees. 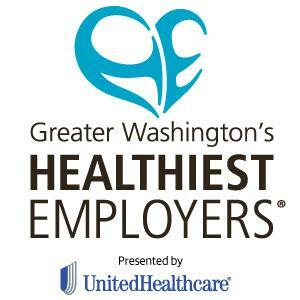 The Washington Business Journal partnered with Healthiest Employer, LLC to select the areas 50 healthiest employers. This is the third year the award has been given in our area and ASHA has been recognized each time. Healthiest Employer, LLC uses an online assessment tool and measures wellness programming in six key categories to select the winners -- culture and leadership commitment, foundational components, strategic planning, communication and marketing, programming and interventions, and reporting and analysis. They'll announce the ranking of each company during an event on Thursday, September 19. Last year we were ranked #4 in the 250-499 category. It looks like they shifted the categories a bit this year. I live in Reston, Virginia so I'm especially happy to see Reston Association being recognized again this year. Congratulations to all the other winners!